I love anything apple-cinnamon flavored and with a touch of vanilla ice cream. 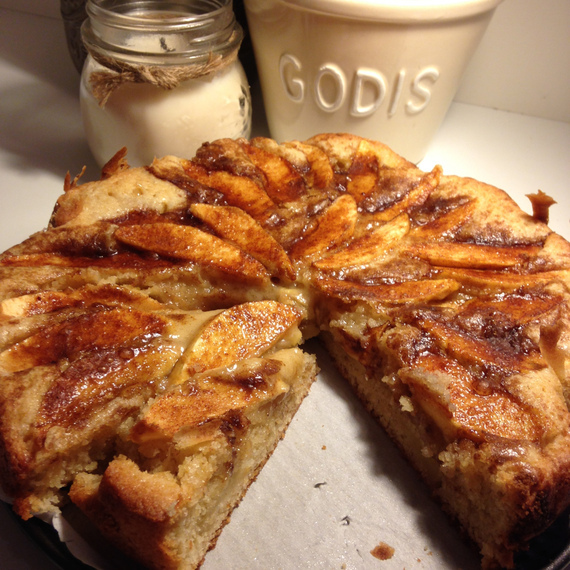 Apple Cake is heavenly! I actually like to bake, but I am all for the simpler recipes. After all, I am in it for the baked goods at the end! 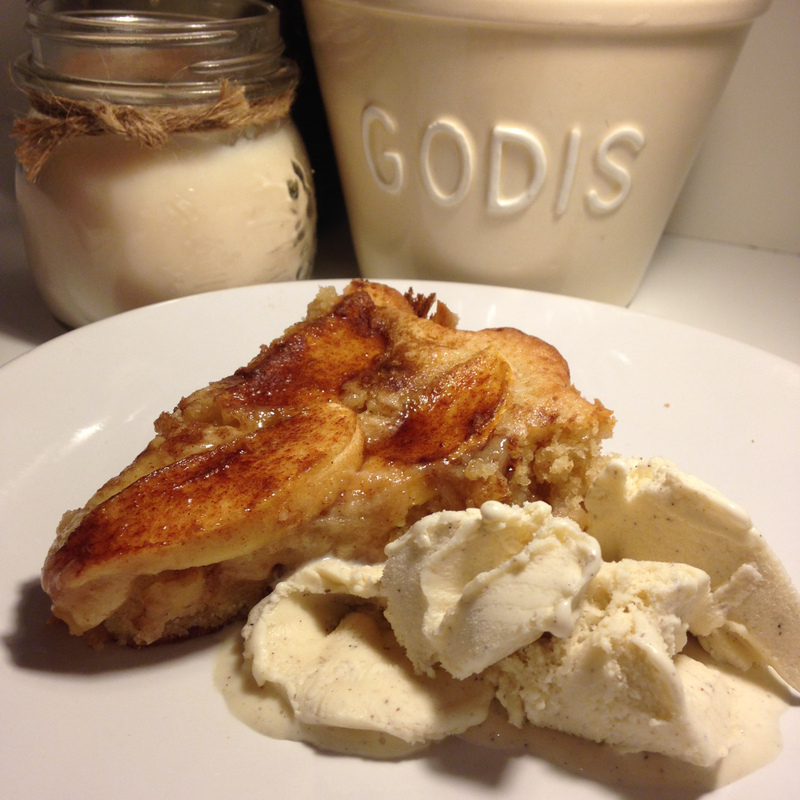 I love anything apple-cinnamon flavored and with a touch of vanilla ice cream. Apple Cake is heavenly! I actually like to bake, but I am all for the simpler recipes. I don't have the patience if you have to fly through hoops and hassles to get the result. After all, I am in it for the baked goods at the end! I don't really know where the recipe is originated, but I am very lucky to have a few homemade cookbooks with my mom's and both my grandmothers' favorite recipes, which is where this one is from. My grandmother on my dad's side passed away a few years ago, which totally broke my heart because we were very close. I have so many memories from her cooking up the most delicious meals and desserts throughout the years, and I feel incredibly honored to have her recipe booklets! I figured there is probably a few Norwegian recipe gems that I can share with you, so I started a new series: Norwegian Recipes! Visit my blog for more recipes like this. Bake at 395 degrees for 25-30 min in a round 9" pan. For full instructions, and more pictures you can find the recipe on my blog here.